for your living room and office room. 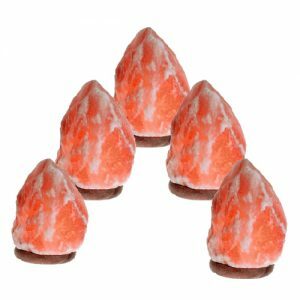 Place a Rock Salt Lamp anywhere you want the air quality to be improved or you want to create a relaxing, wellness environment and enjoy the beauty of nature. 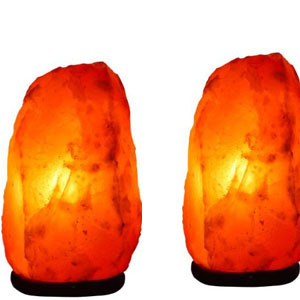 In your Office – A Salt lamp can help improve your concentration, reduce stress and energise you. It neutralises the effects of artificial light and poor air circulation. Place a salt lamp on your desk near your computer to reduce EMF pollution and minimise the effects of the monitor radiation. 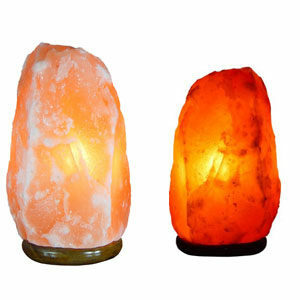 A few Rock Salt Lamps around smelly or smoky areas will clear the air of lingering smells much faster. 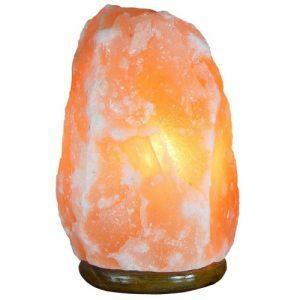 The soothing glow of a salt lamp can aid the conditions of insomnia, anxiety and neurosis. When convalescing a Salt Lamp close by can aid recovery from illness and offer a healthy and comforting companion. Contains 5 (2-3 Kg) Lamps Fresh air is invigorating as oxygen rushes into our lungs and fills our cells with healthy ions. Natural environments such as the fresh air in the forest and the cool breeze from the ocean rejuvenate us, replenishing our bodies with pure oxygen, leaving us simultaneously invigorated and relaxed. Contains Two Massive Lamps (13-15 & 8-10 Kg) for your living room and office room. 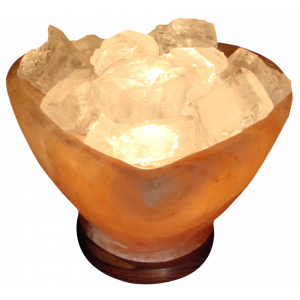 Heart Bowl with 100% Himalayan rock salt . it comes with cable and 15 watt bulb .